This specification describes a 400 watts power supply. With 5 output, and remote ON/OFF control for ATX-12V system and a “Power factor correction (active PFC)” circuit at 100V-240Vac. 3Amp (maximum) at 200-240 Vrms/ 50 Hz. 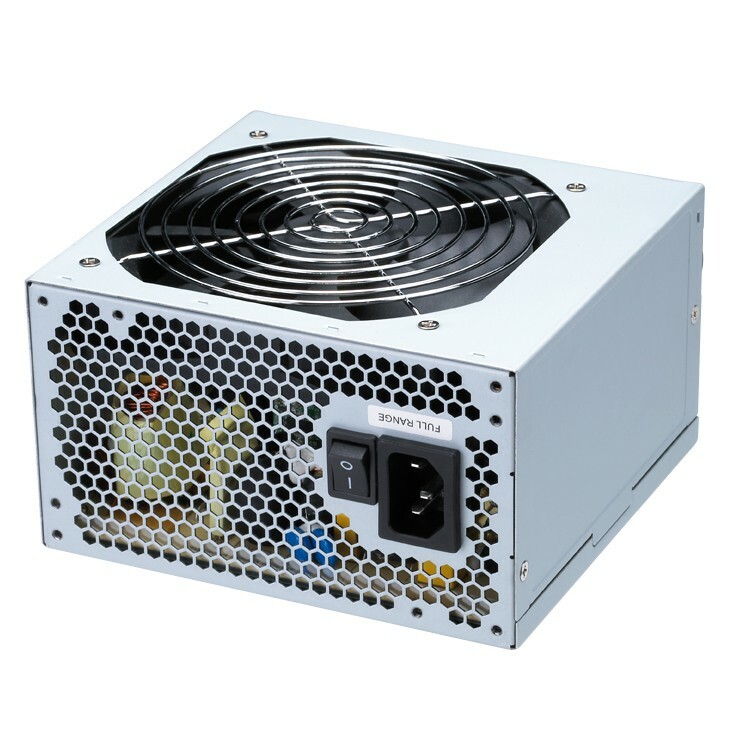 MTBF The power supply reliability, when calculated by “Bellcore” latest revision are exceed 100,000 hours with all output at maximum load and an ambient temperature of 25℃. +3.3V & +5V total output not exceed 120W. When +5V is load to 15A, the +3.3V maximum load is 13.63A. When +3.3V is load to 24A, the +5V maximum load is 8A.